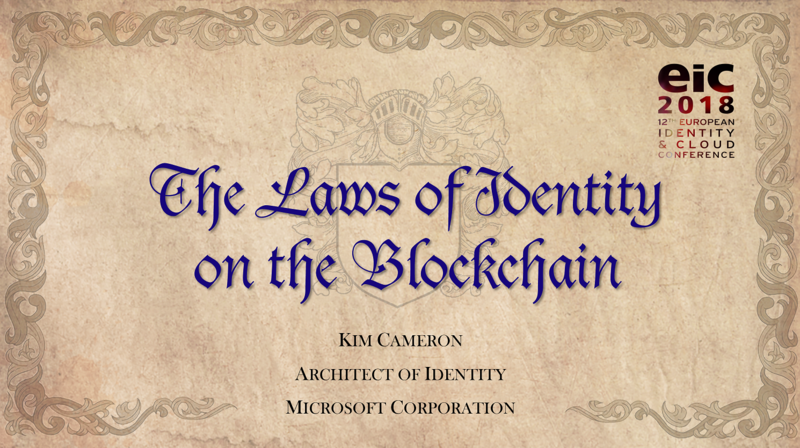 When a user tells CardSpace to “send” identity data from a self-issued card to a web site, it posts a SAML token using the action attribute in the HTML form containing an x-informationCard Object tag. 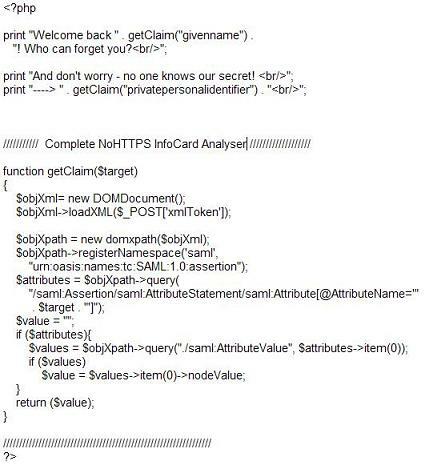 This script just takes everything that is posted to the web server by CardSpace after processing the invocation form, and reflects it back as an “XML encoding”. The result is shown in my demo, and in the no-ssl zip file as result.xml. GetClaims() shown above is just a way of pulling values out of an XML document – use your own instead. 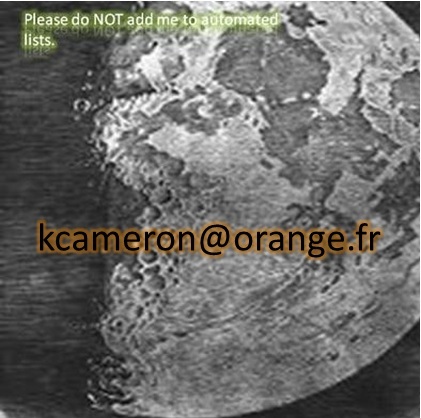 You will see that the givenname and privatepersonalidentifier claims used here are retrieved with this simple code. I hope all of this will become very clear by watching the demo and looking at the aforementioned zip file, which you can cut and paste for your own experiments.